Questions and answers regarding things before you buy or lease multi-function printers, copiers and label presses. When we buy a multi-function copier from you, will you provide us with training and how to use it? When the multi-function copier is all set up and the technician is sure everything is working okay, then we will set up a time for everyone that will be using the machine to have the proper training. It’s always exciting to get a brand new machine and we realize that for the first few days and even first few weeks there will be many questions. The training of the machine will handle the hardware such as how to open the doors to get to the toner or even the staples, how do you put those in? All of that will be shown. The software will also be in the training, such as how to print from the network, how to scan in black in white, how to switch to color. We have pretty good training, but we also know that there will always be more questions and that’s why we are just a phone call away or an email away, which ever you prefer! How do I know what my monthly volume is in terms of paper being used? Most people buy paper by the case for their copiers. If you figure that there a 10 reams of paper in a case and each ream of paper is 500 sheets than you can come up with a pretty good estimate of what you go through per month. Also, during the initial appointment I can get a page count on your old copier, find out how long you have had it and calculate from there. How many sheets of paper are in a ream? A ream of paper has 500 sheets. How many reams of paper are in a case of paper? That depends on the paper size, 8.5″ x 11″ will have 10 reams per case. Paper that is 11″ x 17″ will have 5 reams to a case. Legal, which is 8.5″ by 14″ has 10 reams of paper per case. What type of paper should I use with my multi-function copier? Usually the type of brand of paper you use is not as important as how many pounds it is rated at. With multi-function copier’s, it is recommended that you us 20 pound or 25 pound paper. This is the paper that you should be putting in your cassette trays. Any higher or lower poundage paper will cause paper jams or excessive wear on the pick-up rollers and paper path assembly’s or just strange problems. Resume paper or heavy stock and envelopes should be used with the multi-purpose tray located on the side of the copier. How long does a multi-function copier last? It really depends on how often you use the copier. I have seen copier’s last 10 or 15 years. Copier companies will usually only carry parts for the machines for 5 to 7 years depending on how popular that model was or how many of them are out there. The other consideration is the technology, that’s why lease’s are so great, because usually after 3 to 5 years, people are ready for the latest model. Another big problem with the older machine’s is that they break down often and become unreliable. The software on the computers are also being constantly updated, while on the copier side, this may not always be the case. This means the copier will take more and more time to process a job the further in the future it goes. What are the differences between an ink label press from a toner label press? Quality would be a good word in contrasting the differences. An ink label press, when you compare the labels between the two, it has more quality than the toner label press. The ink label press is more expensive also, but well worth it. The label’s are more vibrant and clear. Why should I get a finisher with the label press? Getting a finisher for your label press is a huge deal. It’s like night and day! A finisher allows you to die cut your label where if you didn’t have this feature, you would only get precut label’s. An example would be someone selling a jar of honey, they have a picture of a bee getting nectar from a flower. This looks like a great picture in itself, its on a precut label which is square. Now imagine that same picture only the flower and the bee have had the excess sticker cut off to where now that bee and flower really stick out and makes that whole label, “pop!” That’s what a finisher can do for your label press. Why do you sell Muratec copiers and Muratec label presses and not another brand name? 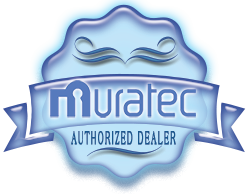 I am a dealer for Muratec. In my opinion Muratec is the best brand out there. Muratec is a world wide company and the best part of this for the DFW area is that the headquarters for the whole United States is based in Plano, Texas! It’s a thrill for me to be able to take my customers, the ones that are interested and have the time, to take a tour of the company. They also have a great demonstration room where you can see the multi-function copiers and also the label presses, and be able to run them! Can I afford a new multifunction copier? It’s hard for most company’s to pay 12 or $15,000 on a new multi-functional copier. Most companies however, usually can afford a low monthly payment in terms of a lease. Yes, most companies that need a machine for their business will go with a lease that will also have a maintenance plan and even the consumables wrapped up in the lease where the company will not have to worry about any unforeseen costs. 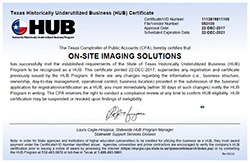 Information regarding the leasing of multi-function copiers printers and industrial label presses. When leasing equipment, what is, “fair market value”? A Fair Market Value Buyout allows the customer to utilize the equipment for a designated number of months with end of lease options to continue to lease the equipment, return the equipment and upgrade to new equipment, or purchase the equipment at the then determined fair market value price of the equipment. A FMV lease also is known as an operating lease. When leasing equipment, what is, $1 Buyout Purchase Option? The $1 buyout lease is a lease where the company (the borrower) makes payments on a piece of equipment, and at the end of that lease term, “buys” the equipment for $1. For a $1 buyout, the payments and term reflect – almost dollar for dollar – a finance loan of similar length (otherwise, buying it out for a single dollar wouldn’t make sense.) In basic terms, a $1 buyout lease IS just like a loan, save for the technical classification of ownership. While lease payments are being made, the lessee (the borrower) doesn’t technically own the equipment – but if treated as a bargain purchase option lease – it does show up as an asset on the balance sheet. This may not make your accountant happy, so the better way to go is with a lease that doesn’t have a bargain purchase option (i.e. FMV) as each lease payment can be expensed 100% (as opposed to slow ownership depreciation), and the equipment won’t throw the balance sheet out of whack either. But leaving the “accounting details while payments are being made” aside, the company is solid about wanting the equipment at the end of the lease. So the $1 buyout lease is structured so the bulk of the equipment’s cost is paid during the lease term, with that final $1 getting it over the hump to actual ownership. A lease is a contract arrangement calling for the user (lessee) to pay the owner (lessor) for use of an asset, in this instance, a copier or label press. Broadly put, a lease agreement is a contract between two parties, the lessor and the lessee. The lessor is the legal owner of the asset; the lessee obtains the right to use the asset in return for regular rental payments. Leasing conserves on capital which is very important for companies that may need that capital to grow other parts of their business. Leasing is also an additional source of credit for present and future needs. Leasing allows for 100% financing, no down payment, no deposits and no required compensating balances. All costs can be financed from installation, service, shipping, maintenance contracts and training. All cost can be included in one monthly payment. Leasing also provides tax advantages, depending on the structure of the lease, you may be able to write off the entire monthly payment as an operating expense or capitalize the outlay. The interest portion on a finance lease is tax deductible. Leasing improves a companies budget stability. When you lease, you have a fixed amount for the term of the lease, which makes it easier for a business to forecast expenses. This also allows a business to obtain equipment for unplanned events since their operating budget (verses capital budget) can accommodate a monthly payment. Leasing also helps to avoid technological obsolescence. It protects you from being locked into owning equipment that may not meet your future needs. It gives you great flexibility to upgrade easily to the newest releases, features and functionality as soon as they become available. Leasing is also to your advantage at the end of the lease in that you have more options then in just owning the equipment. Your options include outright purchase of the equipment, you can refinance, upgrade or walk away at the end of the lease. How do you decide the lease term? The reason there are different lease terms is because the payments go down with longer terms, and for some businesses, that might mean they could afford the payment better. A longer lease also means that the business will always have that fixed cost set aside for that part of the business. Shorter lease terms have higher payments, say a 3 year lease, but the advantage to this is the fees and interest would be less plus the added benefit of upgrading to the latest technology faster. What is the advantage of leasing a copier as compared to outright buying one? There are a few advantages to leasing a copier as to buying one outright. The first important one is that you don’t have to pay the whole price of the machine upfront. A new multi-function copier could cost $3000.00 upwards to $35,000.00 depending upon what you get. Leasing gives you a low monthly payment, zero down and zero down at signing. At the end of a lease a company has plenty of choices compared to if they had just bought the machine. At the end of a lease a company can replace the existing copier and upgrade to the newest model and they can do this every 3 to 5 years depending on how long the lease is. A company that leases never has to worry about falling behind in technology. That is important because computers are always upgraded but someone who hangs on to a copier because they bought it outright will never be able to upgrade their copier as easily as a lease. Is sales tax included in the lease? If the lease was $80.00 a month, the leasing company would attach the sales tax on top of the $80.00. If you are a non profit, the leasing company would need to obtain a copy of your 501c. Do I need insurance on the machine I will be leasing? Yes, you will need insurance on the machine. The leasing company will provide you the insurance, or you can go through another company to provide the proof. Depending on the price of the equipment, the monthly insurance cost could roughly run between $10 to $25.00. At the end of a equipment lease, you can do one of three things: 1) Return the equipment and lease a newer model, 2) Return the equipment and walk away or 3) Purchase the equipment. Whatever you decide to do, it is important to know what to expect when you bring the equipment in. Do you have a five year lease? What is the minimum amount of months and the maximum amount of months you will lease for? Yes we have a five year or 60 month lease. Our maximum lease is 63 months and the minimum is a two year or 24 month lease. What does the word, “duplex” mean? Duplex printing is a feature of some computer printers and multi-function printers (MFPs) that allows the printing of a sheet of paper on both sides automatically. Print devices without this capability can only print on a single side of paper, sometimes called single-sided printing or simplex printing. What type of paper should I use in my laser printer? People use different types of brands when it come to the paper they use. A few examples would be Hammermill, Quill brand, Xerox and many more. The brand of paper isn’t important, you can choose any type you want. The important part however is how many pounds that ream of paper is rated at. A good poundage of paper is rated at 20 pounds or 25 pounds for a laser printer or a copier. Any lighter and the machine will not work at it’s optimum. Also any heavier and you tend to have problems such as jamming or excessive wear with the pick-up rollers. What is the difference between, “graphics color” and “business color”? Here at On-Site Imaging Solutions, we are very proud of the color copier’s that we sell. There is a big difference between graphics and business color. Our copiers work with 8 bit processors where most others are 4 bit. That’s a huge advantage when it comes to detail and how many dots per inch you can truly put on a page. Another leading advantage we have over our competition is our color toner is more pulverized and ground to a finer powder. This allows a more even coverage of the paper and a more vibrant color to come out of the page. Business color is good, but it does not have that clarity that people look for in a real professional job. Value is the relative lightness or darkness of the overall piece of art work or picture you are looking at. It could also be the lightness or darkness of a color. In terms of color, what is, “cyan”? Another word for cyan is blue. In terms of color, what is, “magenta”? Magenta is also known as red. In terms of color, what are the primary colors? There are 3 and only 3 primary colors. They are red, yellow and blue. A special note, when ordering toner or drums on color machines, the red is referred to as magenta, and the blue is referred to as cyan. Secondary colors are two primary colors mixed together which results in green, orange or violet. What are the tertiary (intermediate) colors? It is one primary color and one secondary color mixed together. hue (h)yo͞o/ noun noun: hue; plural noun: hues a color or shade. “her face lost its golden hue” synonyms: color, shade, tone, tint, tinge “a lovely hue of lilac” the attribute of a color by virtue of which it is discernible as red, green, etc., and which is dependent on its dominant wavelength, and independent of intensity or lightness. character; aspect. “men of all political hues submerged their feuds” synonyms: color, shade, tone, tint, tinge “a lovely hue of lilac” Origin Hue is another name for color. People who I fax to complain that they have vertical black lines from the faxes they get from me. What should I check for? This is a very common problem among people who send faxes. Usually this is a relatively simple fix if the faxes are being made from the automatic document feeder. When the faxes go through the automatic document feeder, it goes over the device that inputs the faxes on the paper into the fax machine that will then be faxed out to whomever you are sending it to. There is a piece of glass which is narrow, usually only about a inch wide or so, called the, “slit glass.” If anything gets on this, “slit glass,” say for instance, “white out,” you will get a vertical black streak down your faxes. This is pretty easy to repair, all you have to do is open the document feeder door and find that little slit glass and look closely at it and see if you can find any white out or smears or anything on that piece of glass. The best way to clean it is with a moist cotton cloth and just wipe it clean. If you wanted to, you could use Windex or something close to it and clean it that way. Just make sure that when you wipe it clean and dry it, that there are no streaks when the job is done. If after you have done all that and you are still getting a black vertical streak, there may be another problem with your machine and you Need to think about placing a service call. When making copies from the automatic document feeder, there are black vertical lines on the printouts. This is a very common problem among people who make copies from their automatic document feeder. Usually this is a relatively simple fix, when the copies go through the automatic document feeder, it goes over the device that inputs the printing on the paper into the copier. There is a piece of glass which is narrow, usually only about a inch wide or so, called the, “slit glass.” If anything gets on this, “slit glass,” say for instance, “white out,” you will get a vertical black streak down your copies. This is pretty easy to repair, all you have to do is open the document feeder door and find that little slit glass and look closely at it and see if you can find any white out or smears or anything on that piece of glass. The best way to clean it is with a moist cotton cloth and just wipe it clean. If you wanted to, you could use Windex or something close to it and clean it that way. Just make sure that when you wipe it clean and dry it, that there are no streaks when the job is done. If after you have done all that and you are still getting a black vertical streak, there may be another problem with your machine and it may be a good idea to call for service. I keep getting paper jams in my laser printer or multifunction copier, is there anything I can do before placing a service call? Usually maintenance is required when a machine starts jamming. It can be something very simple such as the treads on the pick-up rollers are wearing too much to the point that they are unable to move the paper along the paper path and they need to be replaced. The more complicated problems exist where the fuser assembly may be going bad, or there may be a piece of paper somewhere in the paper path that is keeping the paper from smoothly going through all the processes to the end. Before placing a service call, open all the doors to the machine and see if there is any obstruction in the paper path and see if you can clear it yourself. Ask yourself, is the paper jam a solid problem where you can’t print or copy anything? Or, is it intermittant, for example, it only jams every 20 or 25 pages. Does it only jam in the 2nd cassette tray or the multipurpose tray? These questions are important when placing a service call, because the more specific you are, the faster the problem will be solved when the technician comes out. Also, the right parts will be brought out. I keep getting a, “49 error” on my HP laser printer. What is it? How do I get rid of it? The 49 error is specific to Hewlet Packard printers. When something from the computer that the laser printer does not understand, it will give off a 49 error. When this happens, the printer que needs to be cleared and at the same time the laser printer powered off and turned back on. This may need to be done several times to get rid of this error. It is also a good idea to find out what file being sent from the computer to the laser printer is causing the problem. In some rare instances that it could be the formatter board and will need to be replaced. I get really dirty printouts from my laser printer. What should I check for? This is the most common problem of laser printers. The first thing you should check for is the toner cartridge. If you have a HP laser printer, the toner and the opc drum are together and usually when you are getting the dirty printouts, the culprit is the toner cartridge and it needs to be replaced. A service call may need to be placed in case it needs a cleaning because of toner leaking inside the printer. My multifunction copier or laser printer makes loud grinding noises when printing jobs. What should I check for? Anytime you hear, “grinding” noises when your machine is printing or making copies, it indicates you have a serious problem and you need to call for service immediately. There is are many gears in a multifunctional copier or laser printer that are moving during the process of the digital image from the machine being transferred to the paper itself. When you hear a grinding noise during the printing process, this indicates that somewhere in the machine, there is a bad gear. Most of the gears in a multifunctional copier or laser printer are plastic and if the problem is allowed to go unchecked, it will destroy, damage or weaken the other gears or assemblies connected to it. That’s why it is a good idea to call for service immediately. If you are a bit familiar with your machine, a couple of simple things to check for would to make sure all the doors are securely shut. A good example would be the toner door where the toner cartridge goes in, if this door is not all the way shut but enough to trick the sensor into thinking it is totally shut, then you might get a grinding noise. The toner cartridge may be damaged, this could make a grinding noise and needs to be replaced. The more severe problems would include the fuser assembly, the swing plate gear assembly and in some cases, although rare, the main gear drive assembly. My multifunction copier or laser printer makes thumping noises, “thump, thump, thump, thump”, when it’s printing anything. What should I check for? Anytime you hear, “thumping” or banging noises when your machine is printing or making copies, it indicates you have a serious problem and you need to call for service immediately. There is are many gears in a multifunctional copier or laser printer that are moving during the process of the digital image from the machine being transferred to the paper itself. When you hear a thumping noise during the printing process, this indicates that somewhere in the machine, there is a bad gear. Most of the gears in a multifunctional copier or laser printer are plastic and if the problem is allowed to go unchecked, it will destroy, damage or weaken the other gears or assemblies connected to it. That’s why it is a good idea to call for service immediately.